As I write this I’m watching one of my chickens Goldilocks, who is broody at the moment (this means she just wants to sit on the nest for weeks on end in order to hatch some eggs....which isn’t going to happen because we don’t have a rooster). I’ve closed the coop so she can’t get in, so she’s not getting want she wants. She walks around and around it trying in vain. She does this several times a day and is clearly unhappy about it. When she’s broody she also gets irritable, makes distinct cranky noises, flaps her wings and is generally unsettled. I feel sorry for my chooks when they go through this. It’s a very natural chook experience and there’s no easy way out – if I let her sit on the nest she is likely to not eat or drink much for weeks. If I toss her off the nest as I’m doing, she walks around feeling anxious and cranky and gets picked on by my other chook. So I just try to soothe her with pats, make sure she’s eating, drinking and not being picked on too much and generally try to ease her angst until this biological phase is over. 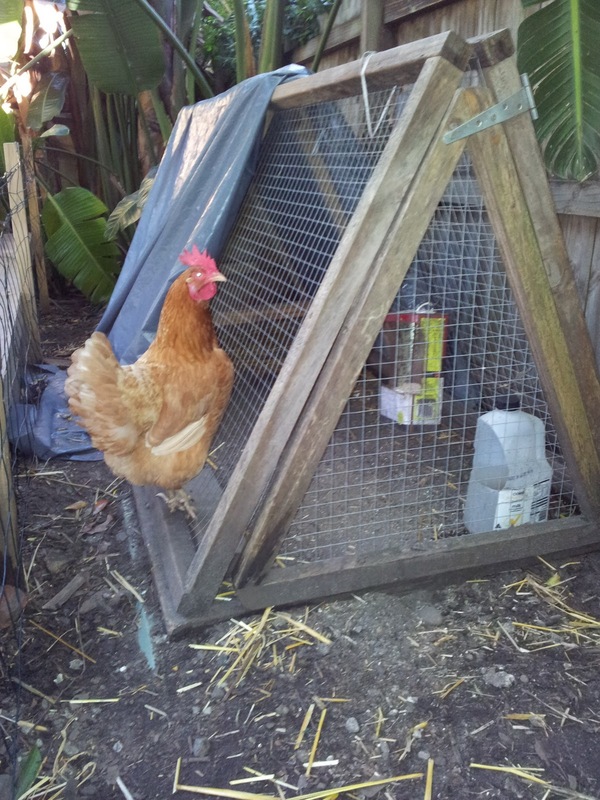 It occurred to me recently that the way I deal with my chooks’ unavoidable angst is more helpful than the way I deal with my own. 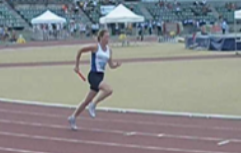 I’ve been getting a bit of what I don’t want lately – let me share another sprinting-as-practice story (see ‘The Need to Win’ from July 2011 for my first instalment). Since February this year I’ve been training with a masters sprinting squad. At first my goals were to simply enjoy sprinting (without the angst of having self esteem tied to winning which I did as a child) and to get fit. Those two goals are well and truly under way – I’m loving training and I’m getting fitter and faster with each month that goes by. A couple of months ago I decided to face my old demon and have a go at competing. This is what has given me the experience of ‘getting what I don’t want’. In the lead up to a competition, there arises in this body/mind a bunch of anxiety. I’m not consciously thinking this anxiety into existence, it just comes up of its own accord when I think about racing or when I’m preparing to race. It’s an old thought-feeling pattern that was worn in during my childhood and has not yet been re-wired. As I’ve inspected this experience more closely I’ve become aware that there are some very subtle and fleeting thoughts that arise along the lines of ‘you’re not as good as you think you are’ and as a result, ‘I don’t know if I can do it’. It registers in the body as tightness and restlessness, in the mind as constriction of thought and in the emotions as nervousness, stuckness, frustration and fear of disappointment. None of this is helpful to my 100m time! 2. having the ‘take your marks, set...bang’ in the air. Even the thought of these sights and sounds is enough to trigger the pattern - the self doubting thoughts which would lead to the feelings which would cause me to tense up (physically as well as mentally). So I started to observe my own response to this pattern arising: I’d resist the experience with thoughts about how much I disliked the feelings coming up, I’d feel frustration because I couldn’t get rid of them, and sometimes a feeling of hopelessness – springing from thoughts that I’m stuck with it and that it will hamper my running efforts forever. Very different to my response to Goldilocks’ involuntary mental state. This kind of pattern and the response to it led to my first race being quite abysmal. My time for the 100m was way slower than what I do at training. Of course I felt really disappointed, and the old ‘you’re not as good as you think you are’ demon left for the day feeling smug. So now I ask myself: what if I could be as gentle and accepting with the involuntary habits of my own body/mind as I am with Goldilocks’ broodiness? What if I could accept that this old pattern of stimulus--> response does still exist, let go of the ‘I wish I could get rid of this’ reactions, and replace them with acceptance and care? Accept and respond, don’t resist and react. Essentially, I’ve been resisting this unavoidable (for the moment anyway) angst and in doing so creating more angst around it. What if I could accept that this ‘stuff’ comes up and see it like Goldie’s broodiness – something that is part of being a chook or human and be kind to myself in the way I am to Goldie? Do what I can to make the experience less unpleasant – to soothe myself and exercise kindness and compassion to myself. My coach’s reaction was great – he pointed out the positives – I started well out of the blocks and did well over the first 30m but then tightened up and lost my form. Good for my first run in 25 years he said. He wasn’t disappointed he said. So I’ve identified that listening to and taking in the encouragement from my coach is one thing that can help soothe the angst in the same way that I soothe Goldie with a pat. For me, this is part of the kindness to self thing. It can help ease the pain while I work on changing the old pattern. Once I’ve accepted the existence of this pattern and been kind to myself with it, I could then respond in a way that helps it change rather than react with struggle out of the tension and unpleasant feelings. I know how to change these ‘non-volitional mental’ happenings but that has to happen over time. In the present, it would seem that acceptance, kindness and other forms of self soothing are the keys.